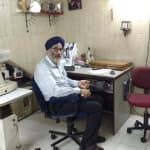 Dr. Harjeet Singh is a renowned Ophthalmologist in Ashutosh Mukherjee Road, Kolkata. He has been a successful Ophthalmologist for the last 37 years. He has done MBBS, MS - Ophthalmology. You can meet Dr. Harjeet Singh personally at Vohra eye & dental clinic in Ashutosh Mukherjee Road, Kolkata. You can book an instant appointment online with Dr. Harjeet Singh on Lybrate.com. Lybrate.com has a nexus of the most experienced Ophthalmologists in India. You will find Ophthalmologists with more than 31 years of experience on Lybrate.com. You can find Ophthalmologists online in Kolkata and from across India. View the profile of medical specialists and their reviews from other patients to make an informed decision. I have 3rd nerve palsy. From 2015. But now this time I want to operate squint surgery in my eye .for at least cosmetic appearance. Is it right decision. Doctor says that diplopia is not curable for me. Cosmetic squint surgery can be done as it is almost a year. Diplopia and residual squint will remain depending on the amount of paresis. I have swollen eyelid for last 2 days. The area has become yellow its itching inside. I have taken antibiotics swelling is lowered but small area has swollen now also and its paining on touching. What to do? Why this happens? It has happened few month back also. It could be style or chalazion. Do continue warm compress with lukewarm water soaked cotton 3 to 4 times a day. Oral antibiotics and eye drops should be used. Chalazion or style may burst to exude pus. Show to eye specialist. It may need minor surgery at times. My sister slipped and got nose damage. Her nose was to bent then I suddenly make that straight with hands but it swells and eyes too. Lots of blood flowed that time. Now after 2 days her nose and eyes are still swelled. What should we do.Please tell. There is echymosis and subcutaneous haemorrhage which has spread to the eyes. Get xray for nose and the orbits to rule out fractures. Ent and eye exam is required to rule out serious underlying injuries. I got inflammation on my right eye on white portion. I have tested for arthritis and result is negative. Doctor prescribed me mild dosage (10 mg) of steroid for a day. I am taking it for a year. There is no permanent remedy. When I stop taking medicine it will come again. Advise me for permanent cure. I am diabetic. You seem to be suffering from episleritos or scleritis. It is usually an autoimmune disease sometimes associated wuth arthritis it has no permanent cure. Steroids as you are using are nonspecific treatment and can only cut down the inflammation. Non steroidal eye nasaid eye drops are preferable as steroids have side effects. Antimototic agents are used in severe cases. This is done by ophthalmologist in association with internist. Am 29 years old female and I have dandruff problem in my eyelashes. It is very itchy. I washed it with baby shampoo but it seems no result. And there is one small lumps on my right eyelid since last 2 yrs. I already showed to the doctors and they just suggested me to compress with warm water but it did not work. What should I do? Usually it is associated with scalp hair dandruff. You have to keep the clean eye hygiene regularly and on daily basis. Use ear buds dipped in baby shampoo. Stand in front of the mirror. Clean each eye lashes removing the dandruff deposits. Use antibiotic eyeointment taking it on finger tip. Apply and massage each lid margin specially the root of the eye lashes. This can be done once a day specially at bed time. This should be done regularly on long term basis as there is no permanent cure. Take care of the scalp dandruff simultaneously. Hi, my mother is suffering from healed chorioretinitis scar in my right eye , due to which she has lost vision upto 80%. Is this curable by any means ? What is the total cost ? I have enclosed doctor's prescription and right eye report from last check up. Please suggest . Healed choreoretinitis scar has no treatment. It causes profound loss of vision as it usually affects the macular area. Do get the serological tests done for histoplasma, rubella; cytimegalo virus. Toxoplasmosis and tuberculosis. These are the usual causes. Get a thorough examination from a retinal specialist specially the left eye as it may become bilateral at times. In which case proper specific treatment is required on emergency basis. I am 49 years old male (weight around 61 kgs.) staying in the city of chennai, south india. I am a pure vegetarian. I am a glaucoma patient since 1983, when first diagnosed. I lost vision in my right eye by the time of diagnosis. Since 1983 I am using timolol maleate 0.5% eye drops twice daily for both my eyes and from the year 2001 my doctor suggested me in addition to timolol maleate to instill latanoprost for my left (has almost normal vision) eye at bed time to prevent any further damage. Now regular monitoring shows iop as very normal. Now my problem is not relating to eyes, but the timolol maleate I am using for past 32 years. As far as I could get information from the internet timolol maleate is beta-blocker and for the past 3 years my ldl & vldl levels are on the rise and hdl on the lower side for unknown reason though there is no major change in total cholesterol. I am not a diabetic (regularly monitored) nor hypertensive. Family doctor suggests to take drugs for the abnormal lipid profile. The other symptoms I am facing for the past 2 months are (1) total fatigue, (2) frequent cold with nasal discharge, (3) drowsiness, (4) shallow breath, (5) ringing sound in ears etc. I just wanted to know whether these symptoms are due to prolonged use of beta-blocker (timolol maleate eye drops), so that I can place before my ophthalmologist your observation and prevent any other future complications.Please tell. These symptoms are unlikely to be caused by timolol maleate eye drops. It should not be used in cardiac or respiratory condition. Beside regular iop check get periodical glaucoma field examn. Your eye surgeon can monitor the optic disc cupping by funds exam. As you have only one eye on working condition. These tests should be done regularly to monitor the efficacy of the eye drops and at the same time keeping in mind about progression. Hi. My eyes sight are weak. I am using spectacles. But I want to get rid of the spectacles . Kindly recommend me any medicine reduce my eyes number and want to remove spectacles. I am also Baba ramdev eyes drop. Drishti. Some body recommend me to use Komal eye drops which is good for eyes and its related problems also. So can I use komal eye drops instead of Baba ramdev medicine. Kindly suggest. There is no known scientific eye drops or medicine or any procedure available to remove eye glasses. Lasik lasers can remove your eye power. This can be only done after thorough and proper tests. Or you can use contact lenses.